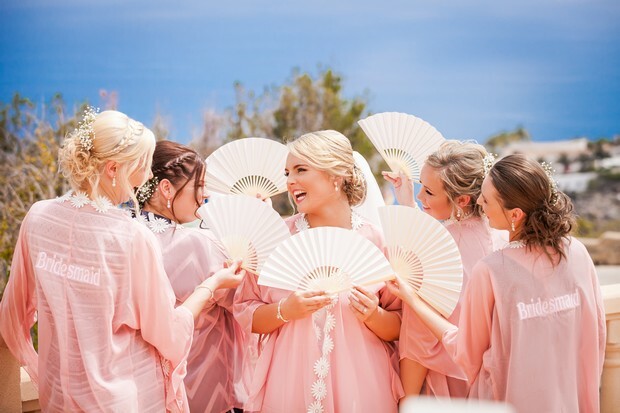 Some of our favoruite photos are the bridal party getting ready on the wedding morning, all kitted out in some cute PJs or personalised robes! Yep, we love the idea of getting glammed up for all the wedding prep and bringing a fun party feel to the morning. 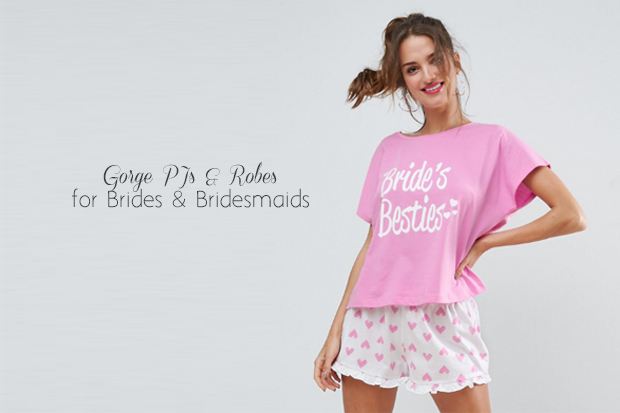 And jammies and cover ups are the perfect pressie too if you’re looking to surprise the bride or your maids. There are so many cute styles out there at the mo – if you fancy some pretty floral robes, be sure to pop over to Irish store The Lovely Little Label who stock gorge ivory, coral, pink and navy floral print robes or if you want that personal touch, Irish online stores WowWee.ie and Simply Personalised Embroidery have lots of fab robes that can be personalised to make them extra special with fluffy towelling robes, cotton and satin floral robes available. You can also pick up awesome bridal party slippers over on Simply Personalised Embroidery and some glam options over on The Lovely Little Label or if you’re looking to keep cosy, check out the awesome hoodie WowWee.ie stock. We’ve rounded up some lovely bits below or if you want to check out some more amazing buys be sure to pop over to their online stores! Pamela enjoys writing about all things decor (she loves buying it too) and has a not so secret addiction to stationery. Swords Business Campus, Balheary Rd, Swords, Co. Dublin.